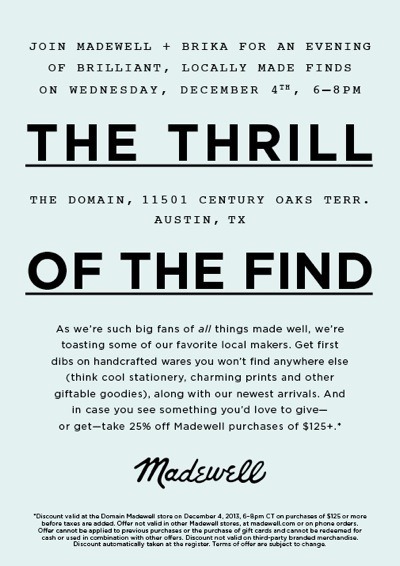 The SOS team will be hanging out at Madewell here in Austin this evening from 6pm-8pm. Brika, the online shopping site that showcases the work of makers, artisans and designers, will be town for their Thrill of the Find tour. 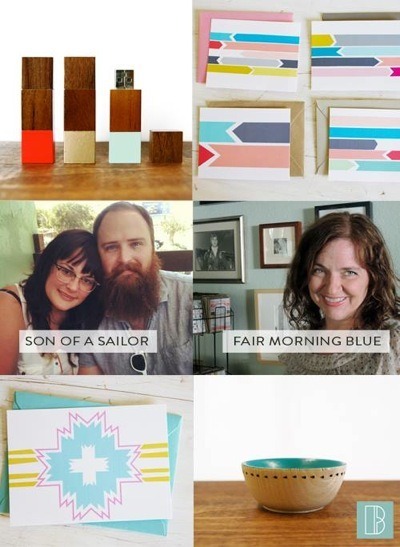 We’re proud to be featured alongside Fair Morning Blue, stationary and paper goods maker. You’ll see our bright, shiny faces, the newest arrivals at Madewell, AND get first dibs on some pretty awesome handmade wares. 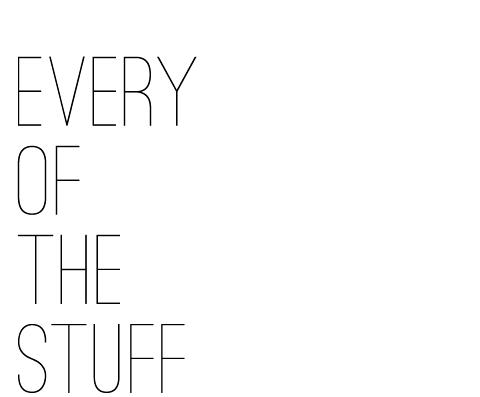 (psst you’ll also get 25% off Madewell purchases of $125 or more). Brika’s Thrill of the Find tour will be taking place in Madewell stores around the country, but you’ll catch the Son of a Sailor team at the Austin Domain location from 6-8 tonight. 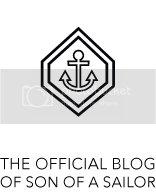 Click here for event info. Hope to see y’all there!